On almost any road condition, this Tahoe Commercial offers solid performance, reliability, and comfort. Taking the road less traveled has never been more fun than with this 4WD Tahoe Commercial. 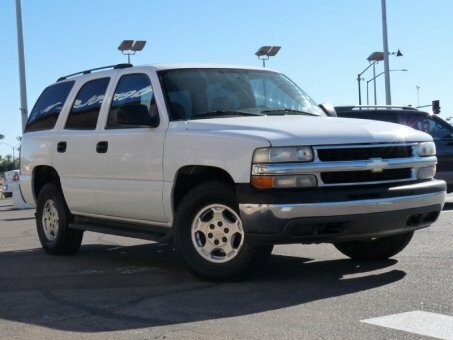 With improved performance, mileage and acceleration, this 2005 4WD Tahoe Commercial is king of the off-road. This vehicle has had only 112,097 miles put on it's odometer. That amount of mileage makes this vehicle incomparable to the other vehicles on this market.